Nassim Nicholas Taleb and his co-authors fail to show their precautionary principle provides any guidance in climate policy. Hostile aliens from outer space might attack! They’ll know we’re here because of our electronic emissions, which continuously bathe the earth in a soft glow. If these aliens discover us and manage to get here, it’s obvious that mankind is kaput. As in wiped out. À la mort. Solution? Hide! Cease immediately all use of anything and everything powered by electricity. Sure, this necessary action will cause some inconveniences such as the ruination of the world’s economy and maybe the odd mass starvation since food will become scarce. But, hey, we’re talking about the survival of the human race. Don’t you care what happens to people? You brute. 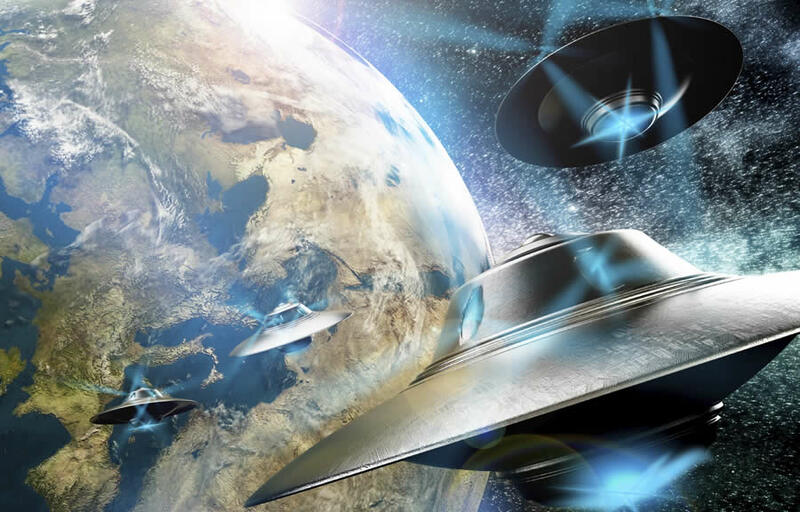 What’s the likelihood of an alien attack? It’s complicated, but all the best scientists say it’s not impossible. Anyway, what’s the difference? As long as the chance is non-zero and the costs of failing to act are near infinite, shutting down the world is the only sane move. What’s that you say? The burden of proof is on me? There’s no evidence of a forthcoming invasion? What are you, some kind of denier? Just listen to a thinker like Nassim Nicholas Taleb. Taleb is the author of the influential The Black Swan, Fooled by Randomness, and other works which warn of the over-certainty and dangers that result from relying too strongly on models and accepted wisdom. Taleb thinks people often have an incomplete understanding of the risk of “unpredictable” situations. Let’s check this statement with respect to an alien invasion. (1) Absence of evidence. Check. (2) Enormously consequential action; indeed, none more consequential. Check. Thus, ancestral wisdom and scientific decision making demand we hit the OFF switch. Taleb and pals were invoking the precautionary principle, a tough-to-pin-down philosophical argument that might be classed as the secular version of Pascal’s Wager. Pascal showed that, given God exists, the reward that awaits those who believe in Him are incomprehensibly greater than the punishments in store for those who don’t. He also said that if God didn’t exist, it costs very little to believe anyway; plus, there’s not much to be gained in not believing. Pascal’s wager works because proving whether God exists, showing what God is, and understanding the penalties and rewards resulting from belief are metaphysical and not scientific exercises. God’s omnipotence is not subject to empirical measure, for instance. Only philosophy and theology can explain the nature and conditions of the wager. Conversely, the precautionary principle, while it is much in vogue, is substantially less useful because it is empirical and therefore reliant on our state of scientific knowledge. It is used for questions where the evidence for a threat and for consequences of actions in response to that threat are rarely or never certain, or are even unknown. That second conjunction is almost always forgotten — and that’s the problem. Climate models tell us the world should be much hotter than it is, which is a polite way of saying they’re lousy indicators of what might happen. Taleb and friends tacitly agree with this, but still insist “precaution” (that is, reduction of carbon dioxide) is the route to take. First, what is the difference between the dire threats of global-warming-of-doom versus alien invasion? Given the evidence, both have low probabilities, and both would affect all of us. But hostile aliens would be worse. Global-warming-of-doom would at least leave some of us alive. The most important similarity is that we have little reason to believe either one. The failure of climate models is proof that global-warming-of-doom as theorized by scientists isn’t true. If it were true, then the models would have worked. They didn’t work, so it can’t be true. Of course, it remains a trivial logical truth that carbon dioxide, or indeed any other chemical or compound, might cause doom in some unforeseen way, but then it is also logically true that aliens might wipe us all out. Taleb believes in the threat of carbon dioxide even after that threat (in the form envisioned by the models) has been disproved. This is not believing in the absence of evidence, it is believing in spite of it. Second, Taleb and co-authors fail to imagine the consequences of heavily suppressing carbon dioxide emissions. This is the part fans of the precautionary principle always forget (and which Pascal did not). The likely effects on human beings would be something like the effect of making ourselves invisible to alien invaders: mass poverty and starvation. Planet-wide limiting of carbon dioxide would also have an effect on the climate — and on many other things, including all plant and animal life. But what would those effects be? Nobody knows. And nobody knows whether they would be good or bad. They could be really bad, if, as some scientists are supposing, we’re coming into a period of solar quiescence and possibly much cooler temperatures. The stress is on “nobody knows.” If we knew what would have happened, then our models would have worked. They didn’t, so we cannot claim to know what the effects of carbon dioxide additions or deletions would be (within the limits of possible human actions). If we want to know what is the best course, then we need to first understand the real drivers of the climate and the resulting uncertainties. And we also need a vastly better handle on what changes in human behavior would do. We lack both of these. The precautionary principle could as easily be used to justify doing nothing, or even to warrant increasing our output of carbon dioxide. Or to guarding against angry little green men.